Exploring technology through the eyes of a Golden Girl. It’s September! Yes. It is! And for Apple fans, this means another Apple Event is upon us. And this one promises to be a doozy! On Tuesday, September 12th, Apple will reveal some major new products at the spanking brand new and very posh Steve Jobs Theatre. I cannot wait to see this gorgeous theatre. It sounds pretty amazing. Shine Up Your Apple Watch. 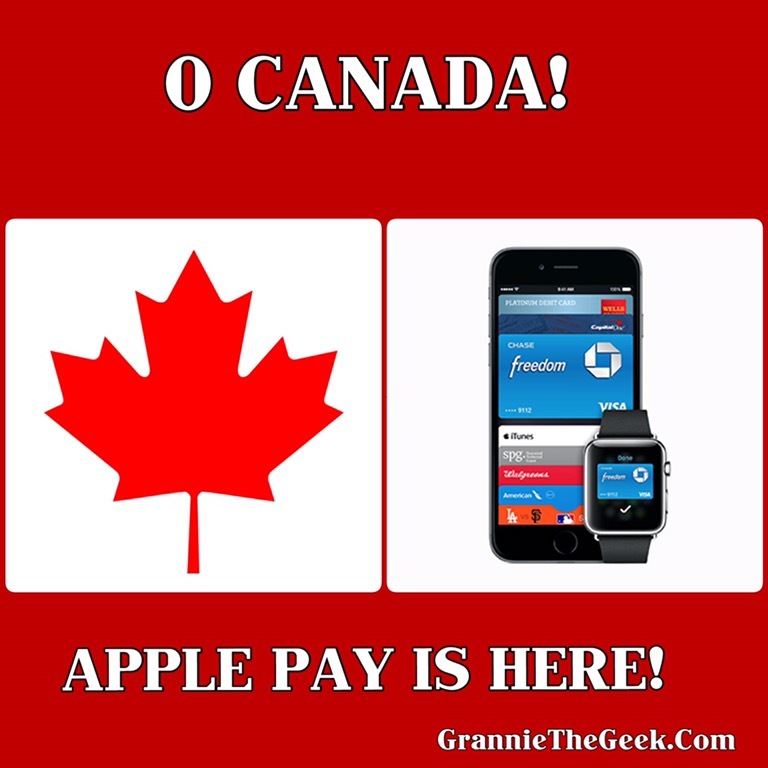 Apple Pay Has Added More Canadian Banks To Its Roster. We are a couple of weeks in since Apple held its “Hey Siri” event in the grand city of San Francisco. It will be a Year to the Day and Minute when Apple hosts it’s huge event on Wednesday, September 9th at 10:00 AM Pacific in the Bill Graham Civic Auditorium in San Francisco. And for the first time in forever, I will be away from my virtual desk and cannot live blog the event. How can this be? Poor planning on my part – or multi- tasking which clearly went out of my control. However, you can watch the event on Apple.Com or stream it via your Apple TV. And, speaking of Apple TV, get ready to be dazzled by an all-new, Siri-enabled Apple TV, one which will take your entertainment preferences to the next level. Or next several levels. And, if we believe the rumours, this new Apple TV will come equipped with a new remote and Siri capability which will make surfing for shows, music, gaming etc. incredibly easy and seamless. Also, set for the grand unveiling is the new IPhone, iPad Pro and Watch OS2. Additionally, the availability of iOS 9 and OS X update El Capitan will be revealed. Apparently, the new phone will be named iPhone 6 S. Again with the “S”. What does this S stand for? $$$$$$? Or is it a tribute to Apple Co-Founder and CEO, the late Steve Jobs. Please enlighten me Apple or somebody out in the blogosphere hit the comments below and have your say. I am confused! And if, like me, you cannot watch the event in real time – oh my goodness, I am dying inside just saying these words – you can stream it later on by clicking on Apple.Com or the Apple Event App on your Apple TV. Poor Apple TV 3 – the September 9th Event will quite possibly be one of the last things I view on it. I will be all over that new Apple TV unit and handing over its pre-decessor to family members. If you are watching live, feel free to jump in and add updates in the comments section below. Okay, let’s try this again, shall we? A couple of days ago, Apple released iOS 8.0.1 to “fix” the bugs that crashed the party known as iOS 8.0. Well, it appears that the iOS 8.0.1 was a regifter or something because chaos reigned the day when Apple consumers downloaded the software. Owners of the newly released iPhone 6 and 6 Plus discovered that, after downloading iOS 8.0.1, their phone couldn’t connect to their Cellular Service and Touch ID was disabled. Good times. Let us know how you do? And I will as well. If you never hear from me again, it is because I have thrown my iDevices out the window. Ha! KarenCorrection: finished off at 1885! I am experiencing a senior moment!